To what extent are local governments actively working to achieve digital transformation? To answer this, we look at the Center for Digital Government’s 2018 Digital Counties Survey, an annual review of U.S.counties’ top technology concerns and best practices, as well as a showcase for innovative initiatives that are saving taxpayer money while enhancing the citizen experience. The 2018 survey revealed that while many local governments have taken steps to digitize and manage documents, they have not taken an organization-wide approach, or legacy systems’ shortcomings prevent further innovation. 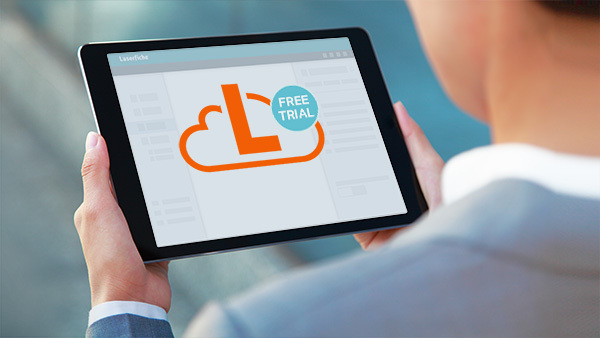 Unlike legacy systems, however, Laserfiche software provides a framework for governments to digitally transform beyond simply storing information digitally. This holistic approach enables organizations to leverage technology for optimizing citizen services while enabling good stewardship of taxpayer resources. 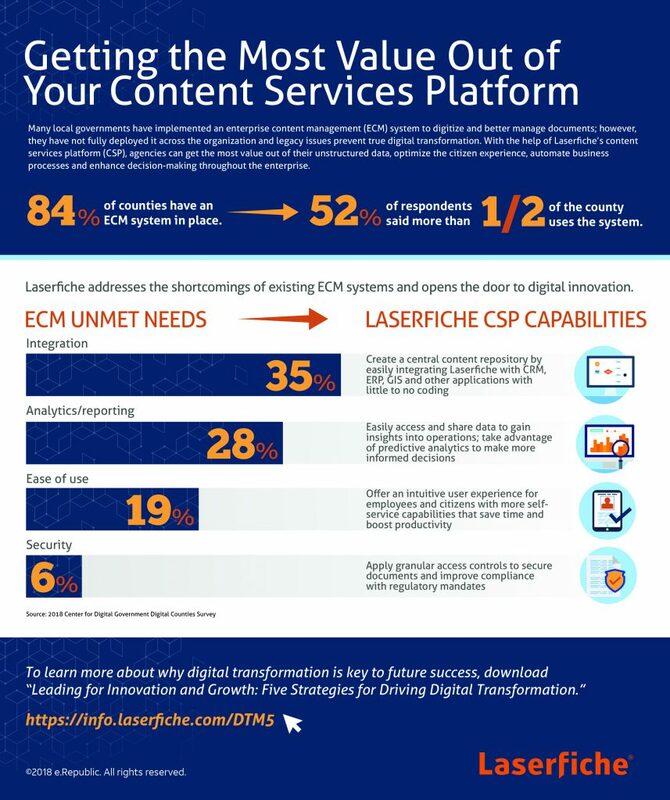 In this infographic, find out how Laserfiche addresses local governments’ needs and offers a clear path toward a more modern, digital organization.